Announcement As featured in the December 2017 issue of Artisan Jewelry Times! Also seen in Martha Stewart Living magazine. My wife Katerina, the shop owner/jewelry designer, recently passed away. I was considering closing the shop but decided to keep it open in her memory, the shop will soon take on a new direction, one that I think she would be proud of. Although I will no longer be selling jewelry that she made, I will be listing the supplies that she used and continue listing items that I still make. Please have patience, as I am still in shock and in mourning the loss of my wife. If you have any special request send me an email TracyAllenRanson [!at] gmail.com and I can work out the details and create a custom listing. As featured in the December 2017 issue of Artisan Jewelry Times! This was a custom order for a mosaic I had purchased in Jordan. It came exactly as I ordered. Thank you so much!! It took a super long time to get to me but it looks great and is exactly what I wanted. Jewelry is wearable art. That is why I make it. I began the journey into jewelry design 12 years ago when fixing necklaces and bracelets that my mother had designed, made and given to me. The process of bringing together stones, colors, wires and shapes into a unique, beautiful wearable form is an exhilarating expression of art. I have many sources of inspiration: my faith, nature, historical art. Just like painting that began my artistic journey, jewelry design gives me an outlet for my creative desires. What distinguishes jewelry making from painting is the ability to provide an affordable piece of art for everyone. A complete painting requires much more time to create, therefore rendering the value more than a lot of us would like to or can afford to spend. A piece of jewelry, on the other hand, is quite affordable, portable and wearable. Providing wearable pieces of art that can be enjoyed and appreciated by many people, every day is my purpose for Katerina Collection. UPDATE UNTIL PROBLEM IS FIXED: Etsy has been mis-categorizing some of our items as children's crafts. We ONLY sell items meant for adults. Please keep any items you purchase from us away from children, as they either have not been certified as safe for children, or have small parts that are choking hazards. We have been working to fix this issue, but there are automatic updates done to our shop by this venue that we are not able to undo at this time. This shop is remaining open in memory of my late wife. I have an Norwegian ancestry which influences my design style. I was born in Utah but have managed to live in other parts of the U.S.A. and by chance I returned to my home state. I started working with wood in the early 80's and haven't stopped. Collaborating with my husband over the years has been wonderful. As a result, we will be introducing new ideas in our shop and be going in new directions. Watch us as our inspirations take over. Earrings, custom and personalized orders are not refundable, no exceptions will be given to this policy because of the amount of time that we invest in a custom order design and the material cost involved with the custom order and personalized order process. If you want return an item, you must contact us first. That is also an Etsy policy. Refund or replacement on general items available if requested within 3 days of item receipt. Because of costs incurred even before items are shipped, there will be a restocking fee of 15% or $5, whichever is greater. If already shipped, the item(s) will need to be returned to us in a new and undamaged condition in order to receive a refund. Customer must insure the package and also provide tracking number to us within 24 hours of the date that the tracking number was provided. Customer is responsible for return shipping costs. Additionally, shipping and insurance costs are not refunded. Credit cards and other methods accepted through direct checkout as well as PayPal. We also accept Etsy gift cards. If you run into any problems paying through PayPal or have issues with placing an order, please contact us and we will make arrangements. You can convo us through the 'ask a question' button or email us at katerinacollection [!at] gmail.com. 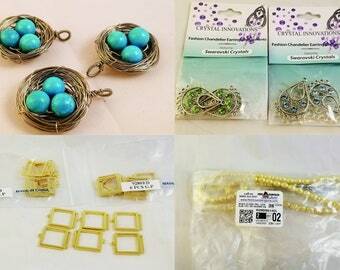 Most jewelry items and ready-to-ship wooden items shipped 3-5 business days from date of order through USPS. The shipping schedule for most wooden items that are made to order is 1-3 weeks. Tracking number provided for shipping within the United States. We are currently only shipping within the US. All items are for adult use only. Please keep all items and packaging away from children. Custom orders are welcome. When a custom order has been completed the customer will be provided with an active listing link so they can purchase the finished project at the list price, minus any incurred deposits. Some custom orders can take up to 6 weeks to complete. I make the chain using a technique called trichinopoly, or Viking knitting. It is based on analysis of chains found that were made by the Vikings, and is more of a weave. The result is similar in appearance to a knitted chain. After weaving the wire, I draw the chain through successively smaller holes through a wooden drawplate made by my husband until I achieve the size, flexibility and density I'm looking for based on the wire gauge used. The resulting chain is smooth to the touch and flexible to differing extents. The single knitted chains are made from a single piece of wire. The double knitted chains are sometimes woven from either 1 or 2 pieces of wire, depending on length. All jewelry will arrive ribbon wrapped in its own fiber-filled gift box. We generally do not include invoices with the shipment unless requested or the order is international/outside the U.S. Custom orders are welcome. Because of the nature of custom orders (time and materials invested that can not be recouped), no refunds are given for them. Some custom orders can take up to 6-weeks to complete. Copper, and to a lesser extent brass, can react with skin oils as well as water. Extended exposure to water and 24-hour long-term wearing of items made from these materials can cause skin to temporarily change color. Additionally, resulting chemical changes can break down the metal structure, leading to breakage of your items. As a result, please remove jewelry before going to bed, bathing, showering, etc. You can clean your jewelry to prolong its use and keep it looking new by using copper or brass cleaners 1-3 times per month, depending on your area's humidity. For sterling silver, use silver polish. Always keep your jewelry clean and dry. Everything is made in a non-smoking and dog-friendly environment. If you want return an item, you must contact us first. That is also an Etsy policy. Additionally, shipping and insurance costs are not refunded. A 20% item restocking fee could also apply. Items must be returned in unused, new and original condition. Returns must be sent with tracking and insurance in original packaging for item protection. If you run into any problems paying through PayPal or have issues with placing an order, please contact us and we will make arrangements. You can convo us through the 'ask a question' button or email us at katerinacollection @ gmail.com.